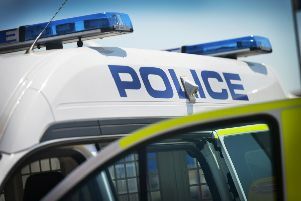 A man who tried to enter a family home claiming to be part of a television programme was lying, it has been confirmed. In the early hours of Saturday morning (February 16), a man calling himself 'Lee' banged on the door of Frances Hearn's Worthing home, claiming to be from Channel 4 show Hunted and demanding to be let in. Frances refused to open the door and, after being disturbed by neighbours and her partner, Ash, the intruder fled. Channel 4 has confirmed Hunted, which sees 'fugitives' try to avoid being captured by a team of hunters for a share of a cash prize, is not filming. Frances said this revelation, which she had assumed already, only made the encounter more unsettling. "It's horrible to think he used it as an excuse to get in, it's crazy," she said. Sussex Police have been approached for a comment on the incident.